?Today, the first day of spring, is for me a day of love, with the sunny weather bringing new energy,? 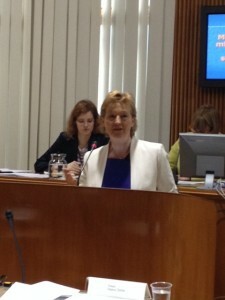 were the opening words of MEP?s Zofija Mazej Kukovič speech to the assembled young. Today, on the 21st March, she participated in a public consultation entitled ?Possibilities for youth employment ? finding solutions in Europe and in Slovenia?, which was organised by the Information Office of the European Parliament in Slovenia and the National Council of the Republic of Slovenia. The purpose of the consultation was to cast light on the problem of high youth unemployment in Slovenia and the European Union with a focus on finding solutions to this challenge, which could have major consequences for the future development of Member States and European society in general. Mazej Kukovič also told those assembled that ?During the recent EPP Congress in Dublin, we were addressed by Bono, the singer of U2, who told us ?I?m a European.? I find this important. We can have everything: plenty of resources, environment, numerous opportunities, but to realise all this we also need energy and identity. We live in the most beautiful country in the world, but we do not notice it. It is up to politics to implement the legislative framework which will allow us to take advantage of these opportunities.? In order to successfully implement the appropriate and effective solutions to solving youth unemployment, we need to include and connect as many interested stakeholders as possible on both the Slovenian and European level. 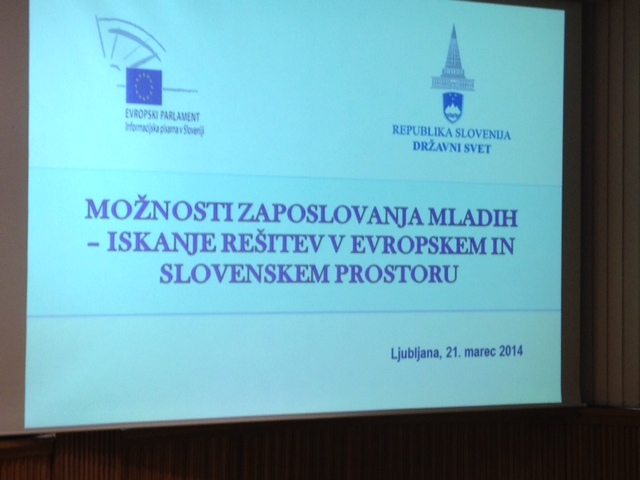 Zofija Mazej Kukovič also pointed out: ?We Slovenians are hardworking and intelligent. We must connect the earth, food and health. This is a basis for new, innovative workplaces. The basic needs of society are health and food.? 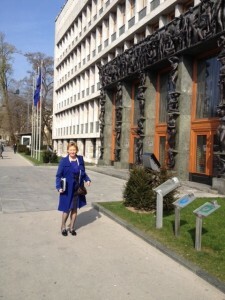 In her conclusion MEP Zofija Mazej Kukovič encouraged those young who were present: ?I wish that when you leave this building, you really look at and study all the available opportunities. I wish for you not to be discouraged by the first bureaucratic hurdles, the first metres of paperwork. ?